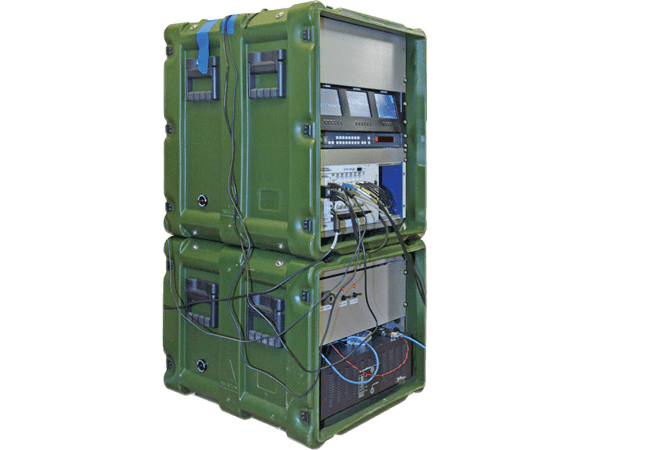 Accessible, safe and fast deployment are factors that we account for when designing and manufacturing cases and racks for surveillance equipment. 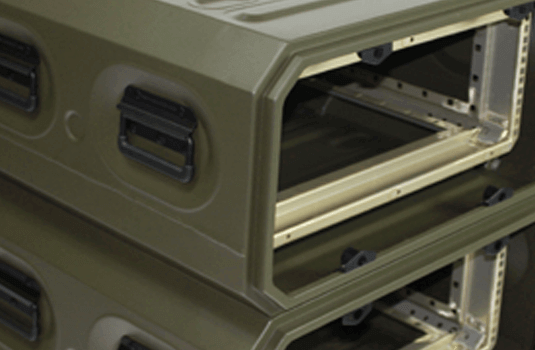 Depending on application we can provide lightweight full and half rack systems that are easily carried, through to fully ruggedised and integrated racks of military standard. 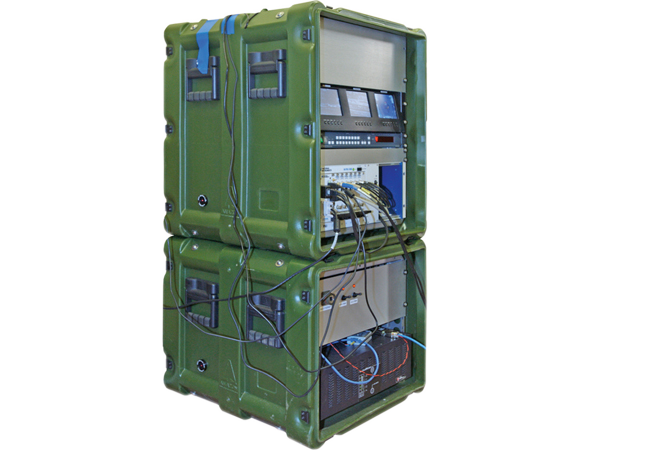 Our racks are shock mounted thereby protecting the integrated electronics, and can accommodate payloads of up to 50kg in standard configurations and greater when fitted with double elastomeric or stainless steel wire mounts. 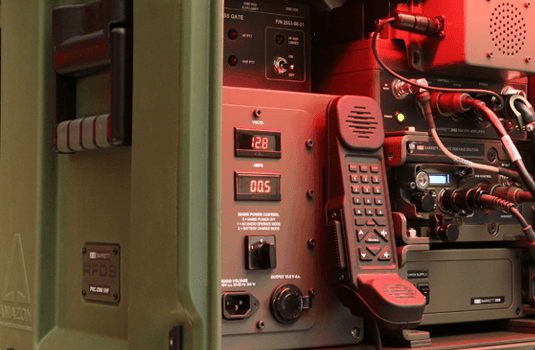 Where secure comms is paramount racks can also be EMC shielded. Anti vibration mounts provides a controlled ride for heavy loads. Capability to accommodate payloads in excess of 50kg. 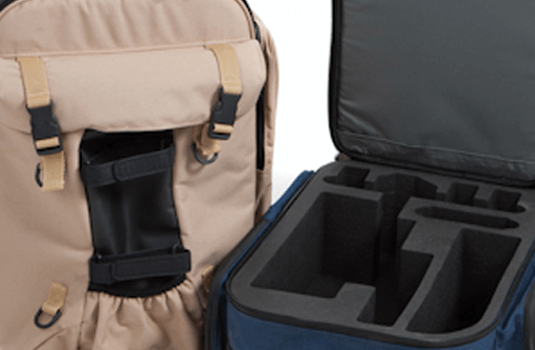 Lightweight and portable, through to fully integrated systems. Production of complete field work stations. 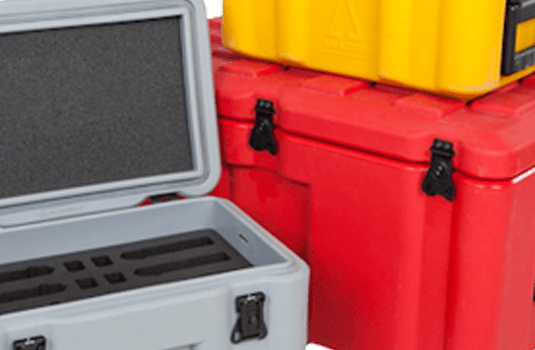 Amazon ruggedised racks combine the tough resilience of a rotomoulded case with a stainless steel rack frame suspended by anti-vibration mounts, to protect and secure sensitive equipment. A patented monocoque design ERack is a lightweight, shock-mounted transit rack manufactured in ruggedised aluminium, available in full and half-rack sizes. Lightweight, tough and made-to-measure Rugged Textiles are a cost effective and practical solution for moving, deploying and protecting equipment and instrumentation.